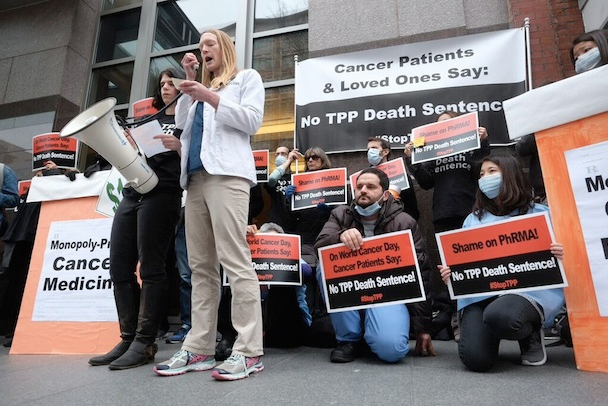 Heckscher is a breast cancer patient, writer and educator who lives in Washington, D.C. She released the following statement upon release from jail following arrest at a Trans-Pacific Partnership (TPP) protest on World Cancer Day. “The day of our protest, World Cancer Day, coincided with the testimony in Congress by ‘pharma bro’ Martin Shkreli. He is called ‘the most hated man in America’ because he raised the price of a medicine for toxoplasmosis from under $20 to $750 per tablet.